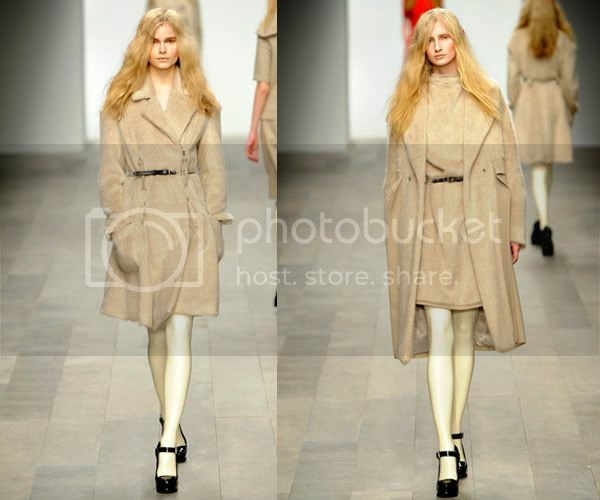 I know it's already over and it's Paris fashion week that is going on right now but looking through the pictures I remembered I forgot to post pictures and a review of some of my favorite pieces of the Betty Jackson collection for Fall 2011. I only did the review of some designers that I actually watched Live Stream, you can see them here, here and here. It's always better to see a dress in action rather only on the picture. 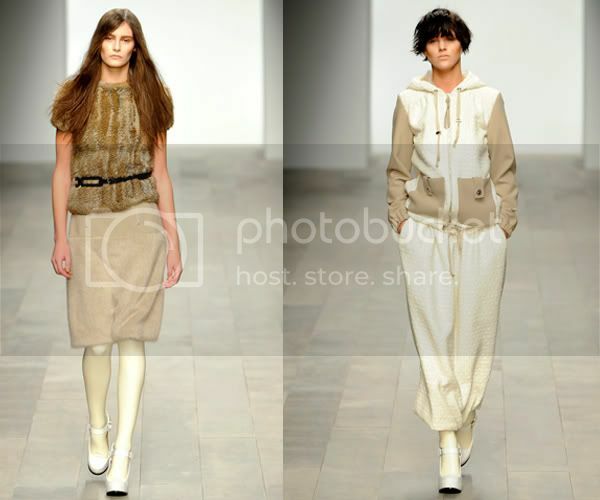 So here is the collection of Betty Jackson, I must admit that till now I haven't heard of this designer and I was surprised how many pieces I liked. This is definitely a more comfy collection. My favorite is fourth and fifth picture. I also like the black and beige skirt. It looks so soft and comfy and warm :) I love the colors, also like the first picture, bright red and there were lots of red! Love it! Have you seen her collection? You can see whole collection here. Thanks for your lovely comment on my last post, I really appreciate! 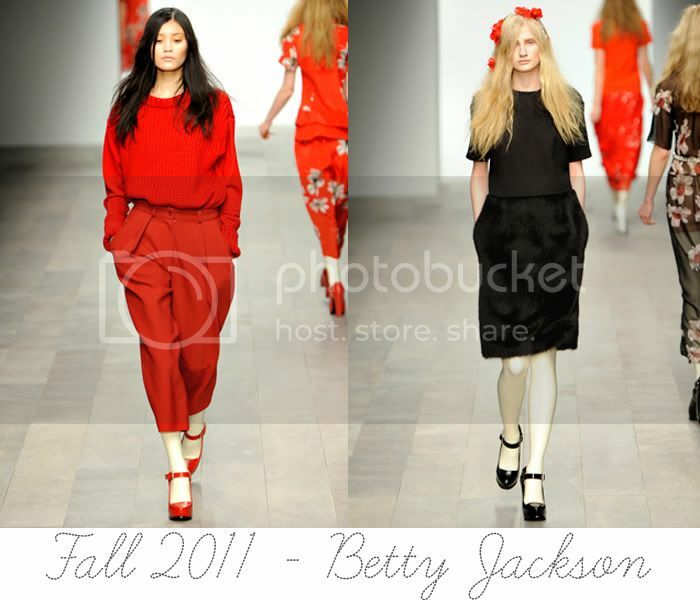 I've never heard of Betty Jackson, but I must admit now that I totally love this collection! There were lots of red :)) which were amazing...however my favourite goes to the forth pic...it's definitely sylish but comfy at the same time! Have done a shout out for you! Love the red outfit especially!